Long ago (1961) I taught myself to knit. ( Oh! and I'm left handed) I didn't realize at the time that I was doing rather well for a self taught knitter. As my daughter reminded me today. Mom~ you knitted me so many sweaters. She finally wanted to have a sweater that was bought from the store. And so my knitting days came to an end. Of course I also started working after staying home for 20 years and raising teenage children was enough to keep me out of the craft room. I have a specific project to knit. In 1964 I lived next door to a couple from England. Everyday my friend and I would have a pot of tea. She had the most beautiful tea cozy. 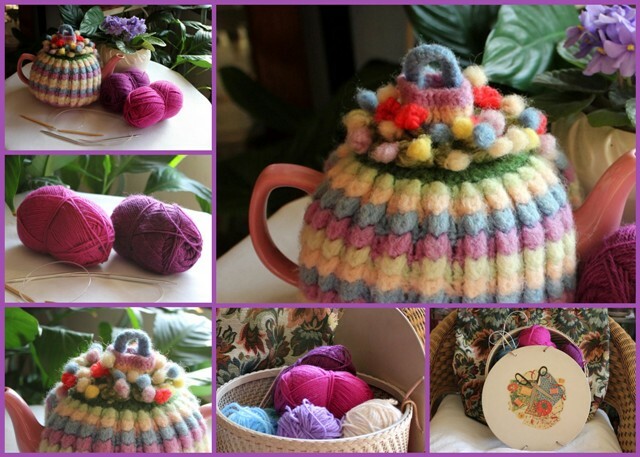 Her mother in England had knitted her tea cozy and I admired it so much my friend had her mother knit me one. And I washed it. Now it's very much smaller than when I received it as a gift 47 years ago. 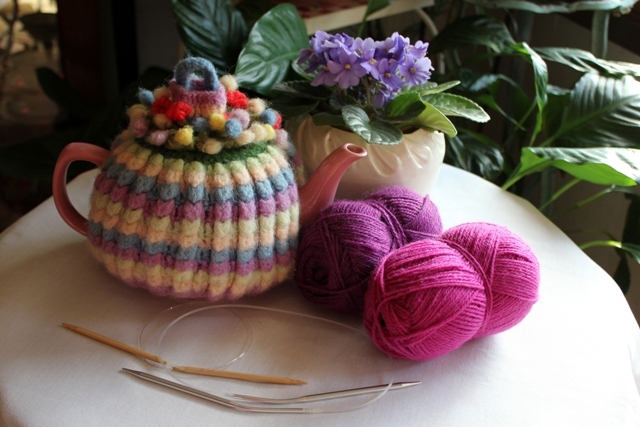 The little flowers on the top of the tea cozy were absolutely fabulous. 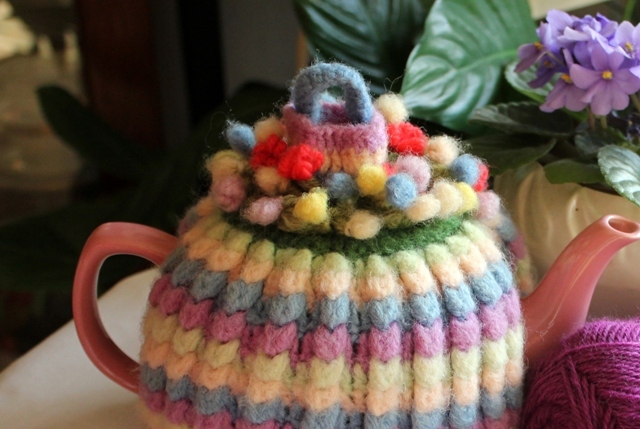 And after all these years I would like to replicate the tea cozy from long ago. I'm not sure what the pattern is called, but I found a similar pattern on the Internet and my knitting instructor is assisting me with relearning how to knit. 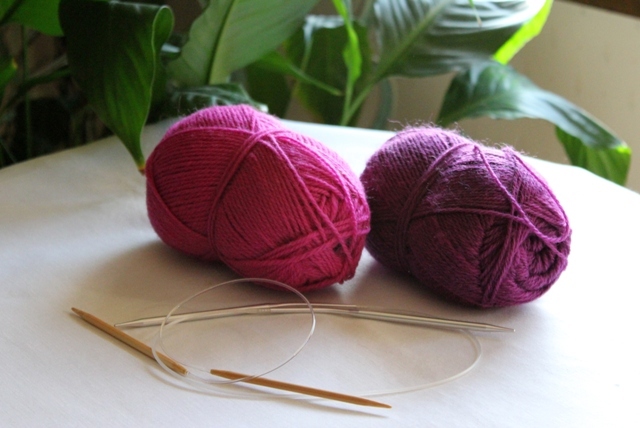 Some of the knitting terms have changed and the knitting needles have changed. But the joy of knitting has not changed. 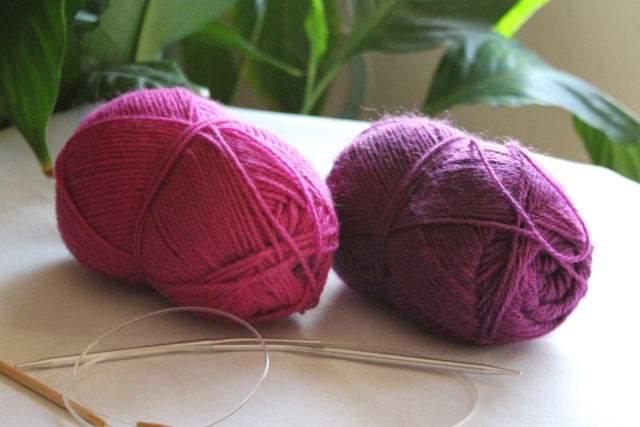 I have chosen this wool yarn and I'm learning how to knit on two circular needles. 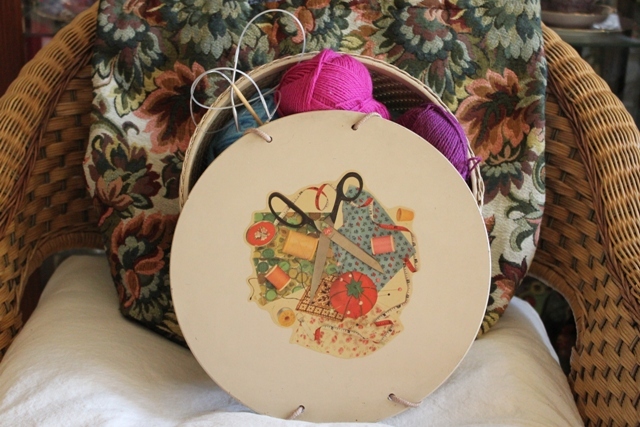 This old vintage sewing basket has been around a long time too. 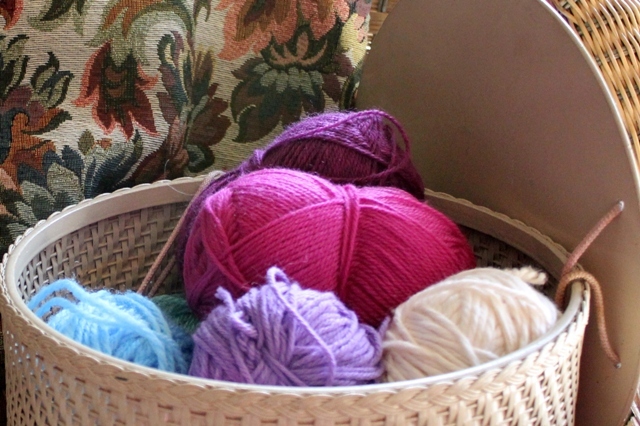 I had two baskets but one of my granddaughters has taken one home to use for her sewing projects and this basket is waiting until the other granddaughter is ready to sew or knit. The top of the box is so much fun to study. 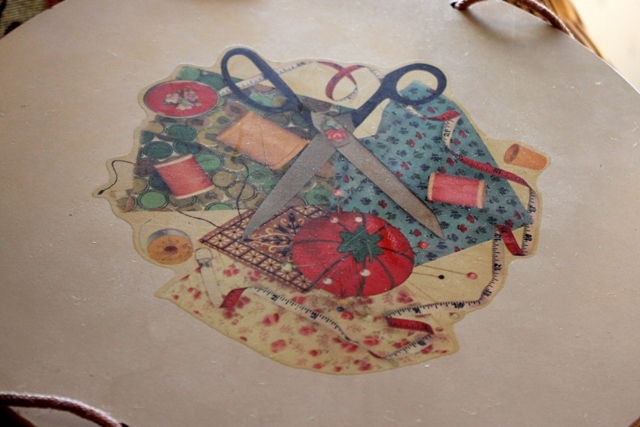 With the tomato pin cushion, big spools of thread and vintage fabric. 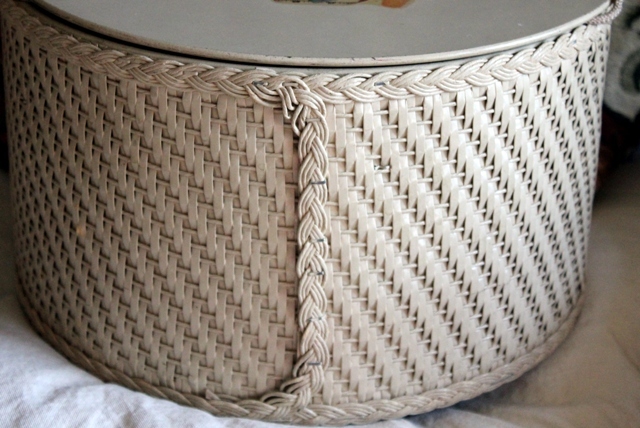 The detail on the basket is great too. 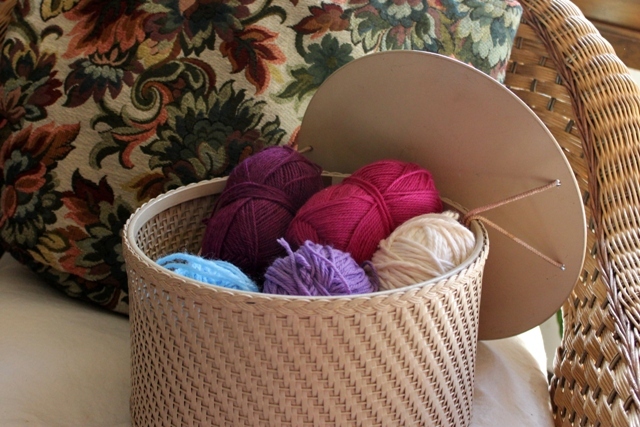 The cords on the basket are still in wonderful condition and the basket is perfect to hold extra yarn for some of those little flowers I will be learning how to make. The sewing bag is what I use to take to my knitting class. It's roomy and has carried several knitting projects over the years. That is so precious. 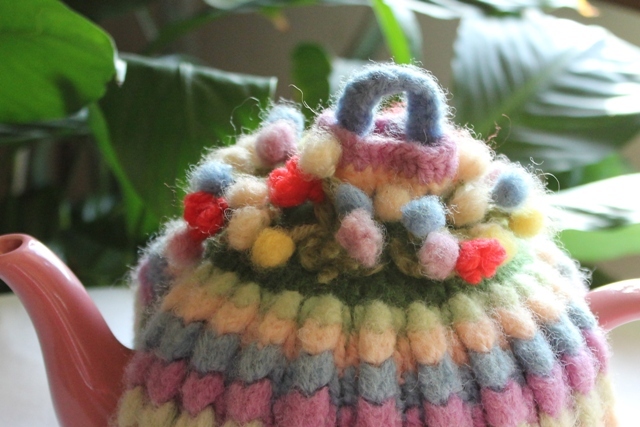 I love this little tea pot cozy and how wonderful to still have it after all this time. The little flowers are so pretty and the colors are just mezmerizing. I love it. I can just imagine all the time and stitches that she put into this gift of love. Thank you so much for sharing it with me this evening. I can't wait to see yours completed as well. A gift to keep and share with generations to come. Love your little sewing basket as well. How priceless is that?